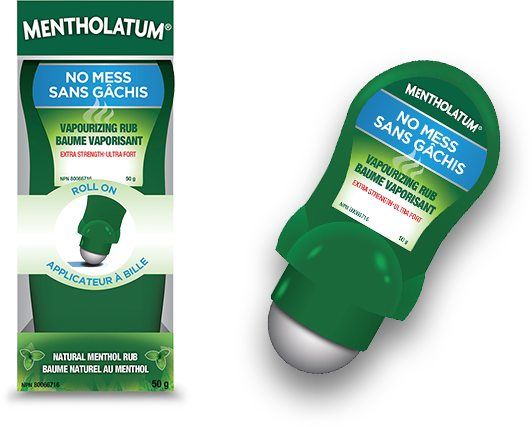 Mentholatum® No-Mess Vaporizing Rub is an easy and mess-free way to apply vaporizing rub that provides extra strength cough relief. Now you can care for your child without having to worry about your messy hand! Roll on Relief. Since 1889, Mentholatum® Original Ointment has been trusted by families for generations to bring soothing relief to sore muscles and joints. Great for use during cold season, it helps relieve chest aches associated with colds and flu, plus its aromatic vapors are soothing and cooling to the nasal passages. Just rub it on the chest, neck or back and feel the relief begin. Breath in the relief. Available in 100ml and 300ml. is a global health and wellness company dedicated to providing effective solutions for consumers’ personal needs. For over 125 years, we have developed and evolved revolutionary products to meet the changing healthcare needs of consumers from young to old. 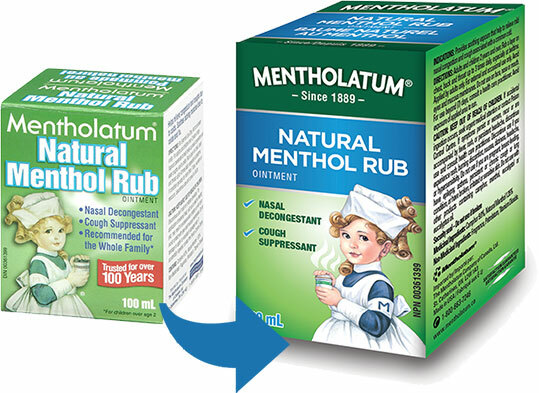 It all begin with our original Mentholatum® Ointment – which has been a trusted household remedy in medicine cabinets all around the world. Mentholatum Ointment’s legacy began in 1889 when founder Albert Alexander Hyde established a new partnership called The Yucca Company, located in Wichita, Kansas. The Yucca Company was the beginning of The Mentholatum Company with a focus on manufacturing and marketing shaving creams, soaps and detergents. When The Yucca Company started manufacturing a cough syrup containing a blend of camphor and menthol, named Vest Pocket Cough Specific, Hyde became intrigued by the medicinal properties of menthol. 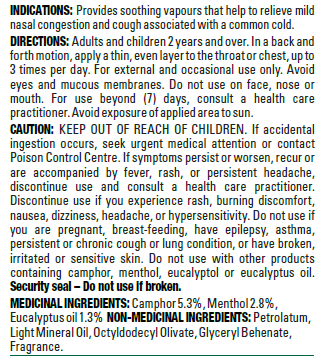 After years of research and experimentation, the company introduced the original “Mentholatum Ointment” in December 1894, which consisted of a combination of menthol and petrolatum plus essential oils. Consumers around the world have loved, cherished, and relied on our product ever since. We are a proud, fully-owned subsidiary of Rohto Pharmaceutical Co., Ltd, a world leader in healthcare. Driven by research and technology, the global Rohto team continues to create better solutions by developing high quality, innovative new items that exceed our consumers’ expectations and generate in them a feeling of relief and satisfaction. The Mentholatum Company’s core focus has always been, and will continue to be, on our consumers, our associates and our society. Although our products have changed and evolved over time, our core philosophy on wellness has stayed the same. We are thankful that we have the opportunity to serve you and create a better world. 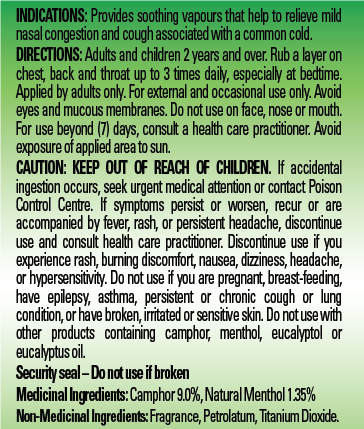 Available in the Cough & Cold section of leading pharmacy, grocery and mass retailers. Selection may vary by store.